Window blinds expertly installed in Cardiff by 3 Blinds Nice! Choosing blinds is not as easy as many people might first think. 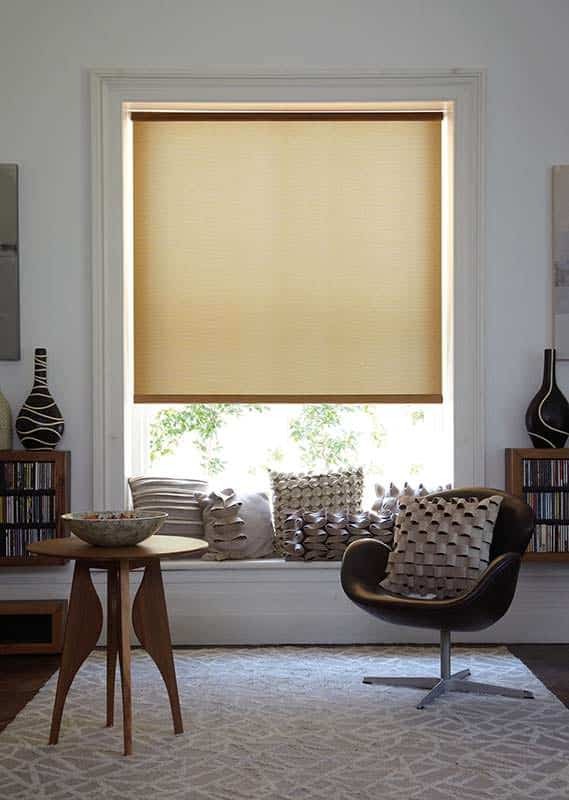 There is a huge variety to choose from, and you will want to pick a blind type that fits in with your internal décor perfectly. 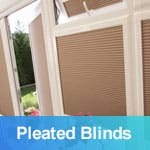 Thankfully 3 Blinds Nice are on hand to offer their expertise in helping you shortlist down what blind type you want installed into your Cardiff home. 3 Blinds Nice offers expert blind installation of made to measure blinds throughout Cardiff and the surrounding areas, so why not give us a call today for a no obligation quote? Without further ado, let’s have a look at the range of blinds that 3 Blinds Nice can offer you to enhance your internal décor. Vertical blinds are a great option if you want to have full control over the amount of light that can flood into your property through the adjustable vertical panels. A great option if you want to move the light into a different direction therefore, so them sun-beams are not shining directly on your computer or television screen for example! You may for example on a summers day may want to adjust the vertical panels fully open to illuminate a room fully, or in an evening you may wish to fully close the panels for complete privacy to a bedroom or downstairs living room, for example. What’s great about vertical blinds is how versatile they are and how they can fit into multiple rooms within your Cardiff property. For an in-expensive way of changing the appearance of your home, why not contact an experienced blind installer in Cardiff, 3 Blinds Nice. For example you may wish to have vertical blinds fitted within your living room, conservatory, home study, and also your bedroom for example why not talk to us about how affordable this is. We offer quality, expert blind installation at a price point that is hard to beat! 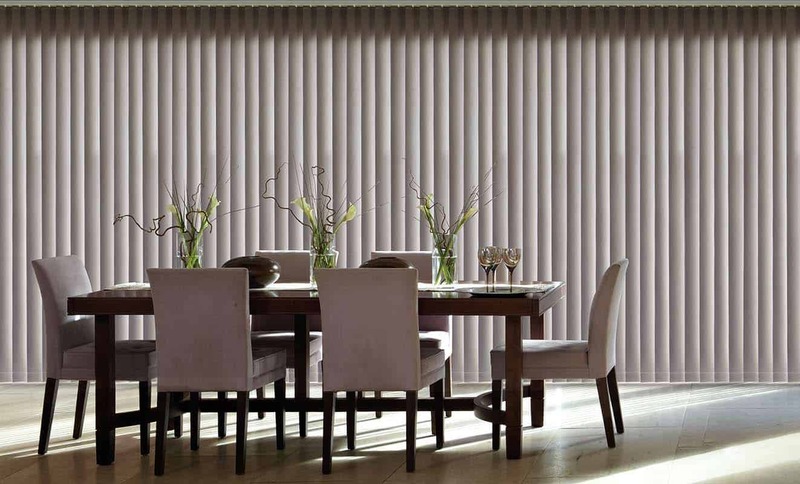 3 Blinds Nice offers a range of vertical blinds, offered at sensible prices while combining years of experience to make sure they fit exactly right within your Cardiff property. 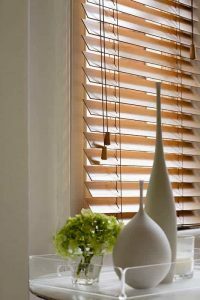 Wooden blinds can make a striking impression to any home, so why not think about getting stylish wooden venetian blinds fitted within a bay window for example of your property? 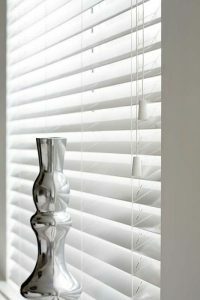 Why not offset your stylish new blinds with your wooden floor’s? Which many people once installed comment that their room can look totally different and much more “homely” after our expert blind installation has taken place. Wooden venetian blinds consist of horizontal wooden slats, of a colouring and wood type of you’re choosing. Perhaps you have a Victorian property with pitch pine block flooring? Then why not complement this in Cardiff with a blind type which is of the same shading and colour enhancing both the internal and external appearance of your home! Go on show off your new blinds to the neighbours, and call the professional blind installation company that carries out installs regularly in Cardiff and Penarth. Many people today opt for aluminium venetian blinds, yet with a wooden appearance due to a print design applied to the surface covering. These are fantastic blinds to use in areas of the home within Cardiff that may suffer water damage or moisture damage for example. For example many people use wood affect venetian blinds because they can be used in bathrooms and kitchen areas, and they do not warp or show signs of water damage over the years. These blind types use a quality cord system or beaded rope in order to pull up and down these roller blinds. Many people use 3 Blinds Nice to install their roller blinds within Cardiff because they are dissatisfied with the quality of roller blinds that they may have installed themselves, which have quickly deteriorated in terms of quality much quicker than they thought! That is some roller blinds can be low in quality, in that they lose their function in terms of smoothly operating up and down. To prevent this from happening to you, you need a professional roller blind company that can offer quality, this company is 3 Blinds Nice. These professional quality blinds can enhance any room within your Cardiff property. Pleated blinds consist of flat normally horizontal blind panels, that are often used to allow a limited amount of light into a space, this is due to their semi-translucent construction. For example pleated blinds are often used in conservatory spaces within Cardiff, this allows pleated blinds to gently filter through just the right amount of light into a conservatory or other room space. Pleated blinds can also be used in kitchen areas or any room, they are great if you want to allow a limited amount of light into your property. 3 Blinds Nice can also offer pleated blinds, which can be blackout or allow hardly any light to filter through into a room if wanted. 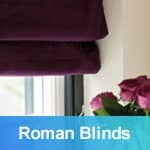 A popular choice in terms of blind types that are chosen by many customers throughout Cardiff and areas such as Penarth are Roman Blinds. Roman blinds allow you to control exactly the amount of light by lowering or heightening the blind by the use of folded panels. Roman blinds are popular because they allow a statement to be made in terms of the pattern design and the colours that can be used. Therefore be expressive and use Roman Blinds within your home, if you want a range of bold colours and swanky designs that can make a bold statement if you wish. For example you may want a floral design or the use of certain colours within your blind type, that’s in order to offset against your wallpaper or the colour of a certain room for example. Roman blinds are very popular therefore in Cardiff in terms of there use in interior design and incorporating patterns and shading that cannot be displayed on other forms of blind’s. Call the blind installation experts at 3 Blinds Nice, who can talk to you about designs, prints and the vast range of blind colours that are on offer. If you are changing your room design, think 3 Blinds Nice first, if you reside in Cardiff, South Wales. 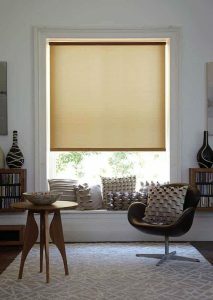 Whatever blind type you choose in Cardiff, we can offer you quality and a range of options of made-to-measure blinds for our customers. Whether you require window blinds for your conservatory, home office, anywhere in the home or even your garden outbuildings! We will have the blinds to suit any form of building. 3 Blinds Nice, also install blinds into commercial premises such as offices, shops, retail outlets for example. From wooden blinds right through to a Roman Blinds, we offer affordable prices and quality materials in terms of all the blinds we can supply and fit in South Wales. 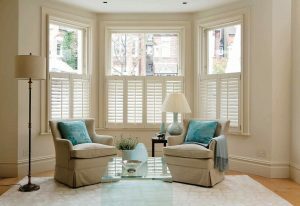 Many people choose 3 Blinds Nice to install their blinds because they know they are going to get a professional fit and a professional service from a locally based company located near Cardiff. 3 Blinds Nice is focused on their customer service offering and on minimising disruption to our customers, and making sure we quickly measure blinds and install these blinds in a short amount of time. If you want an experienced blind installation company in Wales, who can offer you the full spectrum of blind types, shading options and materials then choose us. 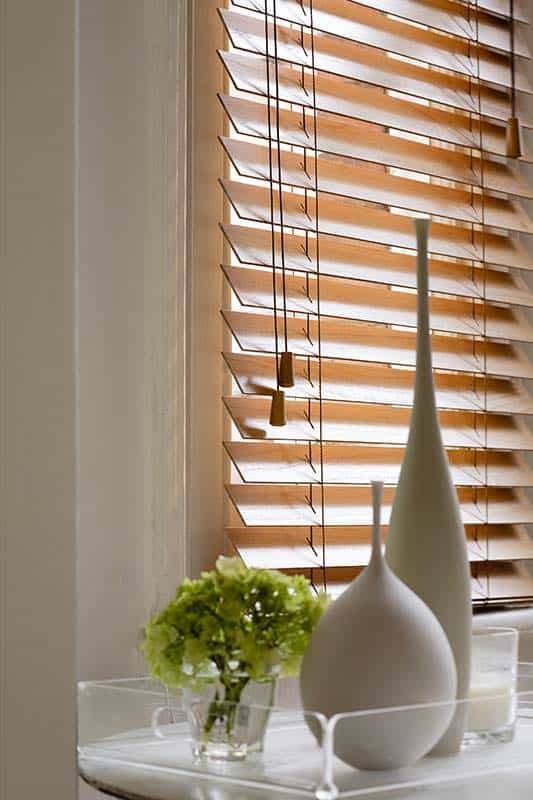 From blackout blinds to wooden blinds, incorporating quality hardwoods, we have all the options available to you, when you wish to change your internal decor through 3 Blinds Nice.